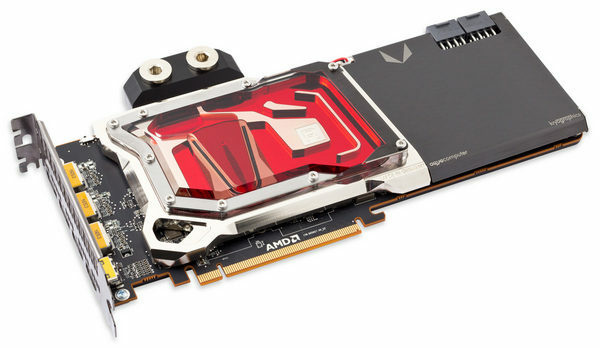 AquaComputer has expanded its range with a new water-block with a full cover designed to cool video cards based on Vega 10 GPUs. The novelty is called simply and clearly - Kryographics VEGA , and it is intended for installation on Radeon RX Vega 56 and Vega 64 reference video cards, as well as on Video card series Frontier Edition, which are made on the same printed circuit boards. 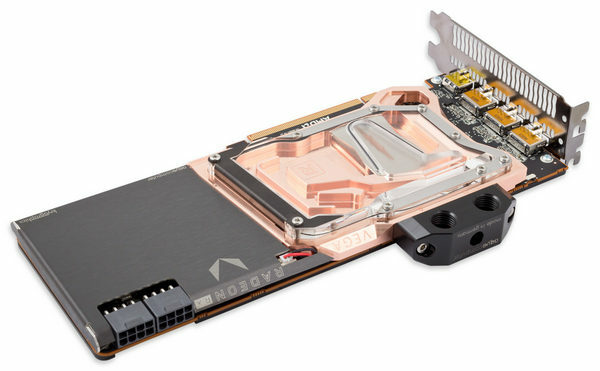 The base of the water block Kryographics VEGA is made of a massive bar of copper and in some places reaches a thickness of 10 mm. 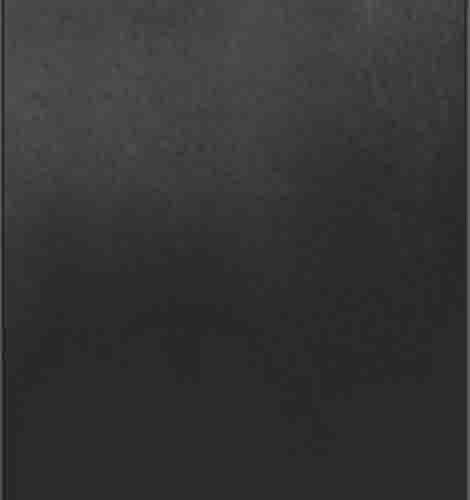 In addition to the Vega 10 graphics processor and the nearby HBM2 memory, the base is in contact with the power system elements, as is the case with a full-coverage waterblock. 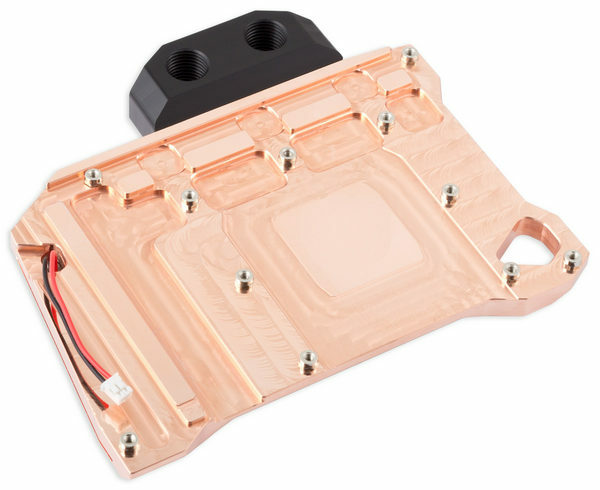 The water block will be available in versions with a base of "bare" copper, and with a nickel-plated base. The upper part of the casing is made of transparent acrylic and is equipped with a backlight. Note that a metal cover is also attached to the water block, covering that part of the printed circuit board that is almost completely unoccupied, which gives the cooler Kryographics VEGA a finished look. Also, the manufacturer notes that the terminal for connecting fittings can be replaced with another one of the Kryoconnect line. 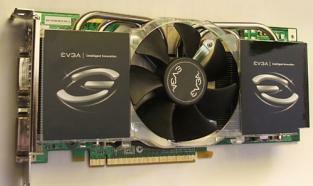 Water block AquaComputer Kryographics VEGA has already appeared on sale in the official online store of the German manufacturer for the recommended price of 110 euros.